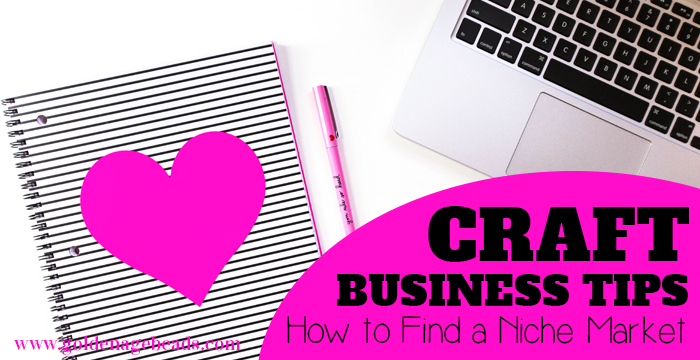 Finding a niche within the market you serve could be the key to success when it comes to your craft business. In this post, we’ll explore what it means to find a niche market so that you can deliver a different kind of product that some of your customers will really want and – most importantly – need. A niche market is a subset group of a larger market. 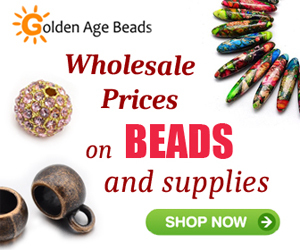 Let’s say you run a craft business creating beaded hair accessories and tiaras. Your main target audience is probably going to be female adults who are looking for special occasion or bridal headwear. This audience would be classed as the larger market in this case. When you drill down within this market group, there are a number of smaller niches within that could be quite profitable. For example, you could offer a line of beaded headwear products designed for children to wear at weddings or parties. These would need to be child-friendly and take into account safety aspects, but they could also be fairly special and glamorous too. Kids love dressing up and of course, most parents love seeing their little ones looking fabulous! In this niche, you could target the parents of children who are going to be part of a wedding party or who are due to attend prom. This would be a whole new group of people whom you could target that are looking for a specific type of product. Another way that you could find a niche within that particular larger market of female adults looking to buy special occasion headwear is to focus on a specific style, such as avant-garde. You would then be targeting your product at brides or partygoers that like to wear this cutting edge style. Drilling down further, there could be a whole group of people within that main audience group who would prefer to buy products that have been sourced ethically or have been made with environmentally-friendly materials. Why bother with finding a niche? Creating handmade products for a specific group within your main target audience allows you to offer something rather special and – this is the key – different! 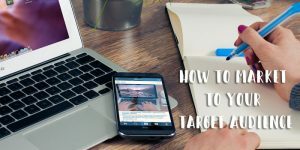 You can create an edge over your competitors by drilling down into your target audience, finding a subset group and serving a line of products to them, with the intention to satisfy a specific need that they have. 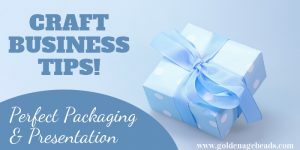 In return, you could set your craft business apart from the rest and make some great profit too. Niche products often do well because they are in demand and can’t be found easily all over the web. This is the tricky part. How to actually find your niche market? What new product lines should you introduce as part of your business strategy? 1) Survey your current customer base and ask them what they have been looking for recently but have been unable to find (in relation to your overall product lines). E.g. going back to the hair accessories scenario, ask your current audience if they are looking for a particular type of headwear and if so, what it might be. 2) Ask yourself if there’s something you’ve been hunting around for that you simply can’t find anywhere. This can work really well, because if you can’t find a product that you’d desperately love, the chances are that other people will feel the same way. Ask your friends and family for their input too. 3) Research your competitors and see what niches they are looking to fill with their product offering. Don’t copy them, because that defeats the object of doing something different (and is just bad practice!) but this is helpful to see what they aren’t currently providing. 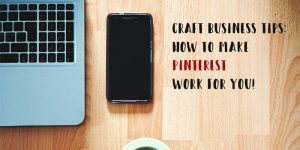 4) Once you’ve got an idea of how you’ll serve a niche market that you’ve found, the next step is to make sure the products you’re thinking of will actually make a profit. To do this, search for similar products on Etsy or other handmade market places online and check the prices, customer reviews and how many sales have been made. That should give you an idea of whether there’s any money to be made in respect of your chosen niche. 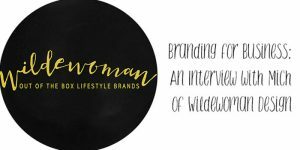 Done correctly, you can make a real name for yourself by providing a specific type of product to a niche market within your main customer base. The trick to succeeding is to find a profitable niche market and come up with a really great product line that delivers exactly what that smaller subset group needs and wants. In addition, make sure you provide excellent customer service so that word travels fast about your amazing new products! 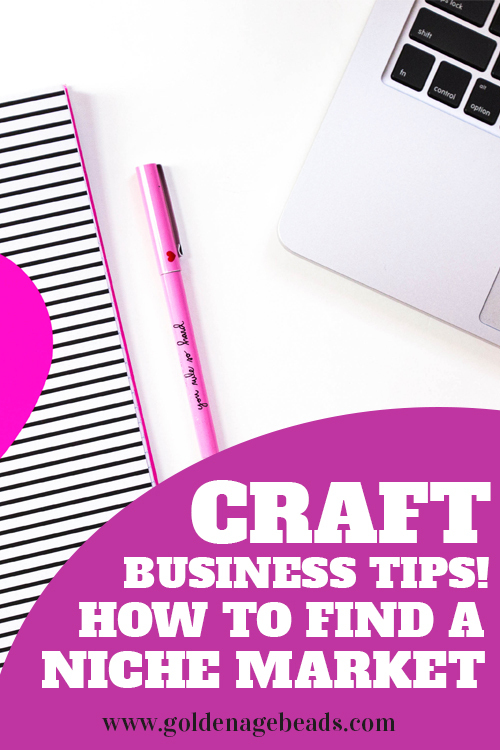 We hope you found this post in our Craft Business Tips series helpful! 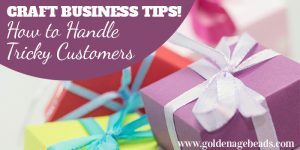 You might want to check out our other business tips posts here. *Images courtesy of Wonderlass with text overlay added.